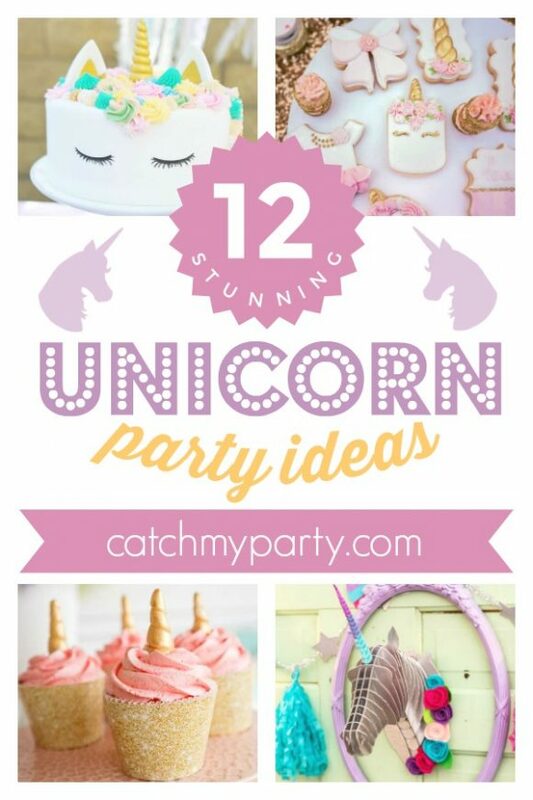 If you have a little girl at home that is unicorn mad, then you really don't want to miss the 12 best unicorn party ideas we have rounded up for you from Catch My Party. Unicorn birthday parties are so popular at the moment! Everywhere you turn unicorns seem to be popping up all over the place! Girls, both young and old, love them!! 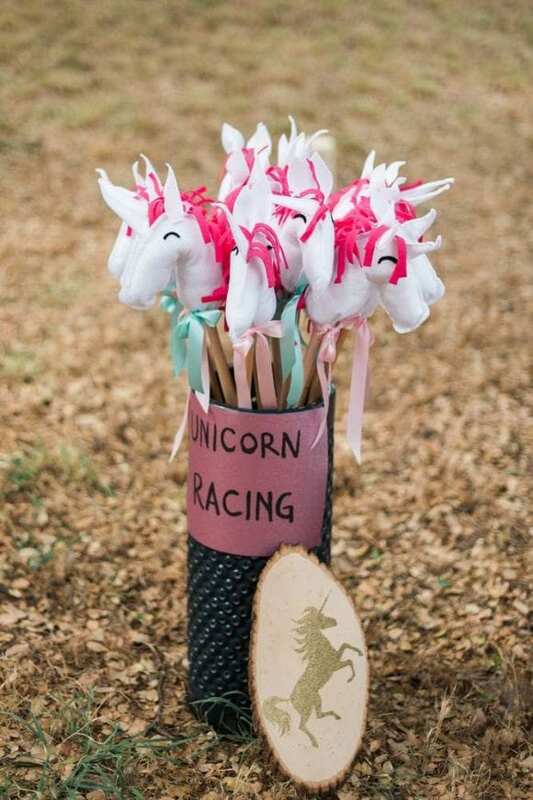 So, if you're planning a unicorn themed party, for either a birthday, baby shower, Christening or any other celebration, then don't miss these stunning unicorn party ideas. This pretty pastel pink, purple, blue and white unicorn dessert table is so amazing!! 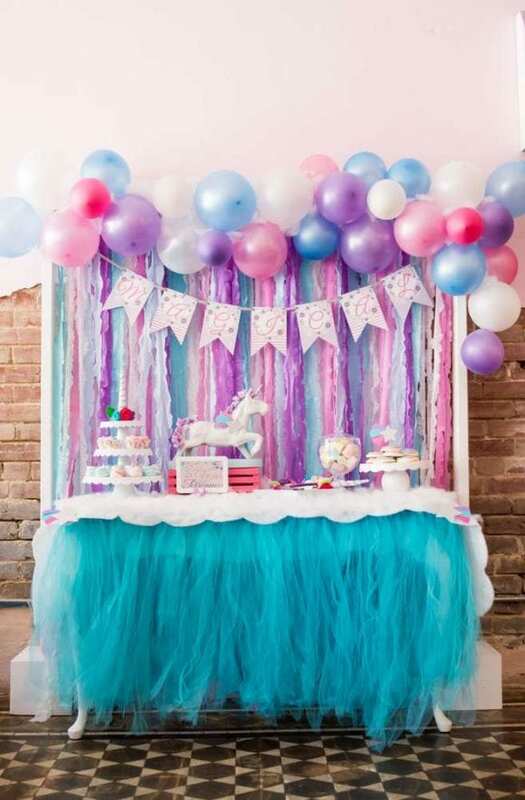 The ruffles, banner and balloons create a gorgeous backdrop, made of strips of plastic tablecloths. The turquoise tulle skirt (affil) gives the dessert table that extra magical touch! 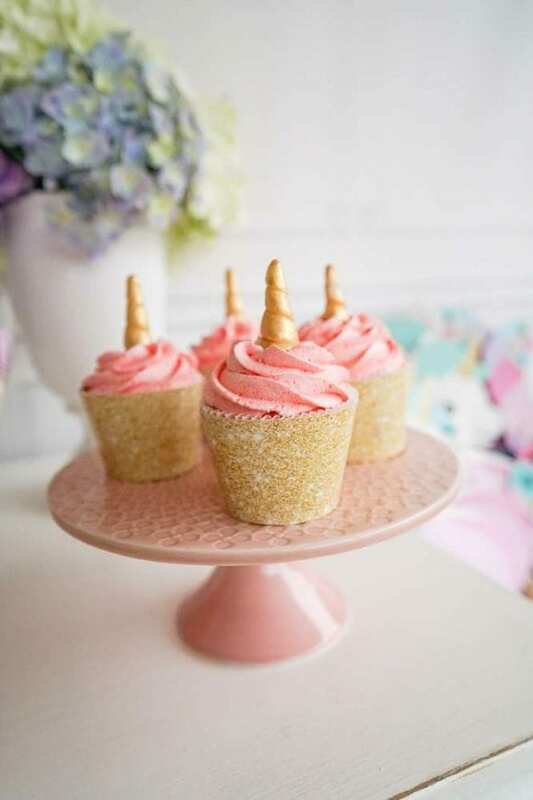 These simple, pink frosting cupcakes with gum-paste gold unicorn horns and glitter wrappers are adorable! They are so simple to put together and are truly magical. 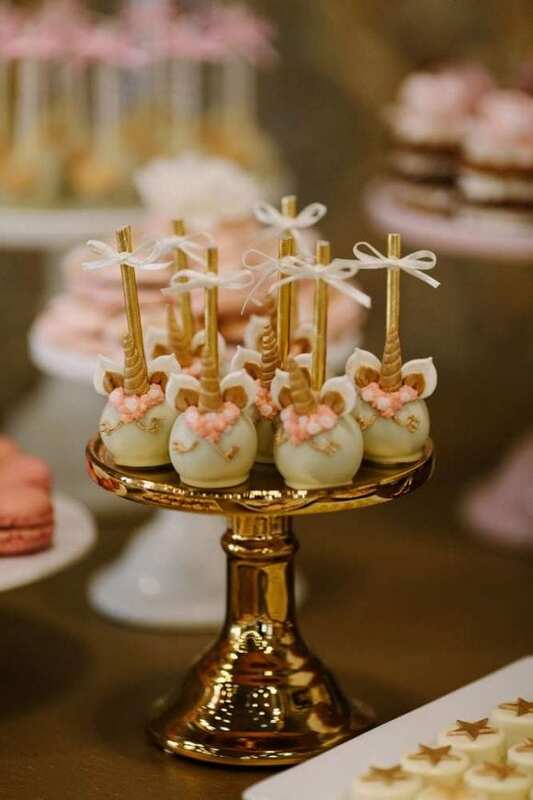 These unicorn cake pops are so elegant with their gold decorative little horns and eyes, and adorned with delicate little pink and white flowers. Love the pretty little white ribbon finishing each one off! 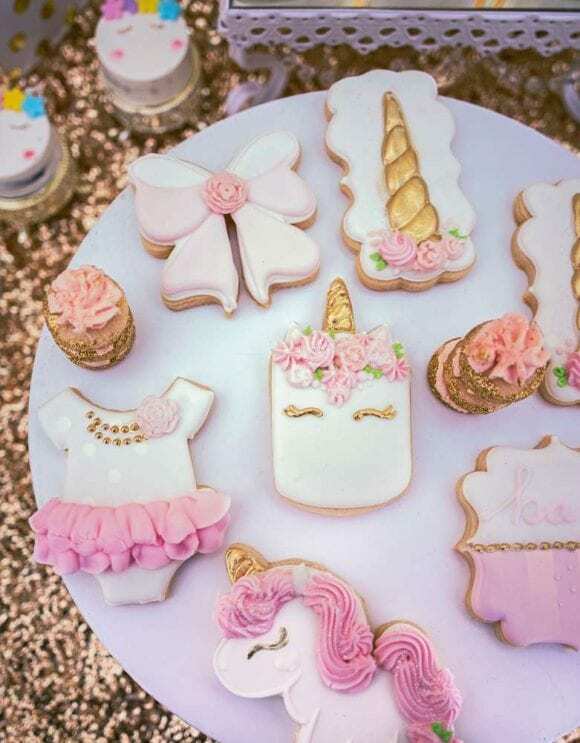 These baby shower unicorn themed unicorn sugar cookies are incredible! They are beautifully decorated with such an attention to detail, with tiny flowers. Absolutely adorable! What little girl wouldn't love a stunning unicorn birthday cake like this one? The mix of pastel colors give it so much life and make is so vibrant. This unicorn birthday cake design has now become a classic and a staple at a unicorn birthday party! 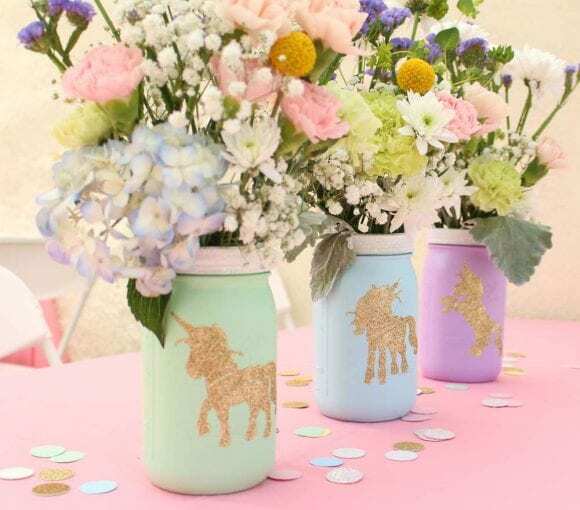 This mix of painted mason jars decorated with gold sparkly unicorns and filled with pretty flowers are a simple yet a fantastic way to decorate your tables. So pretty!! 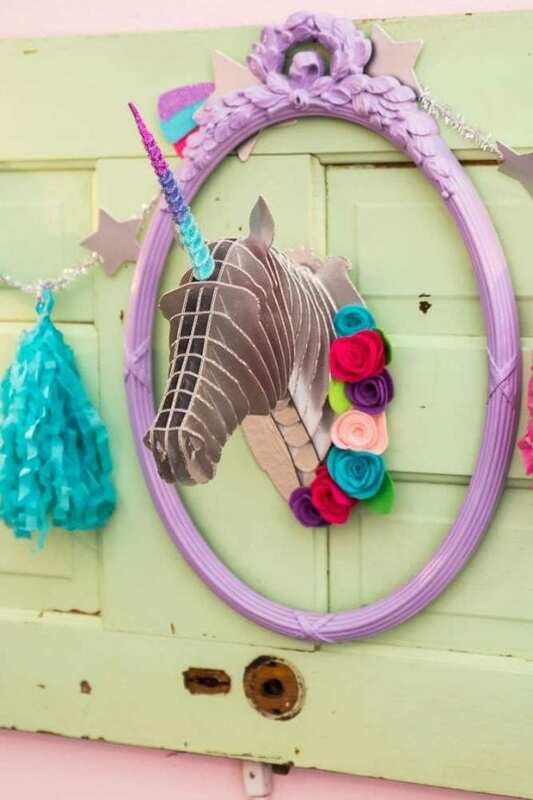 Decorate a wall at a unicorn party with an awesome cardboard unicorn head (affil) with a colorful horn and felt flowers. Place it in the center of an empty colorful ornamented frame to help make it stand out. Then, all you need to do is add it to a dessert table and you've got yourself the perfect backdrop! These magical unicorn milkshakes look delicious!! 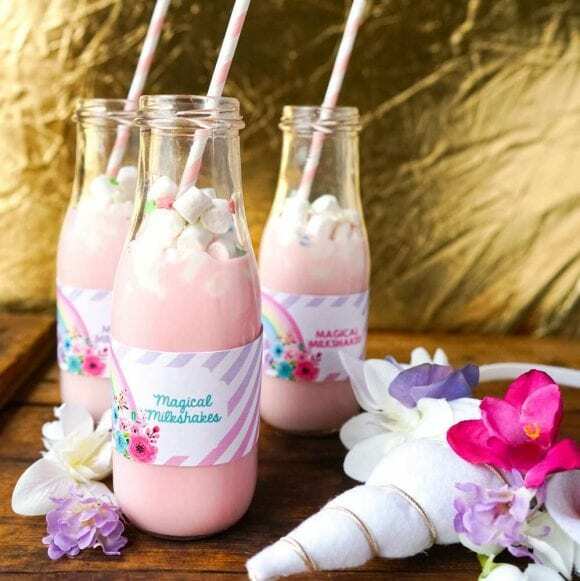 Just pour pink strawberry milkshake in adorable vintage glass bottles (affil) and top them with tiny marshmallows, some starry sprinkles and a pretty paper straw. Finish off each bottles with a lovely label and you're good to go! There isn't a kid out there who doesn't love a pinata! This unicorn pinata (affil), with it's pretty colors and shiny paper is gorgeous. Place it on the dessert table during the party and you'll have yourself a beautiful centerpiece too. The table at this unicorn princess garden birthday party is a little girl's dream! 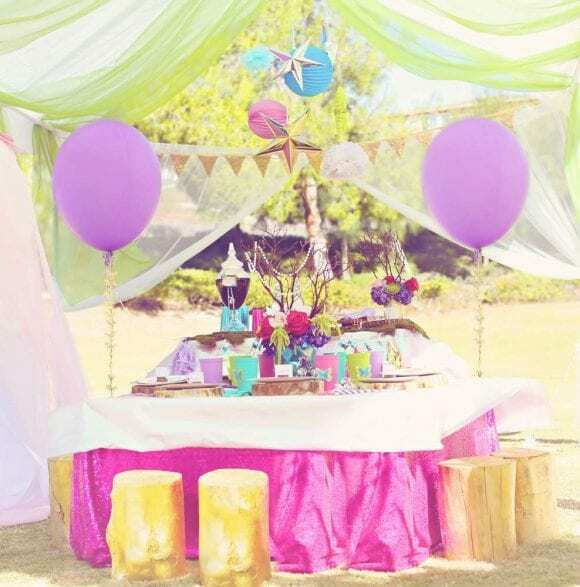 The log stools and the decorated table under the pretty canopy make everything look so magical. Love the balloons finishing everything off! Hours of fun are guaranteed, lots of fab photo opportunities and you've got yourself a party favor too! 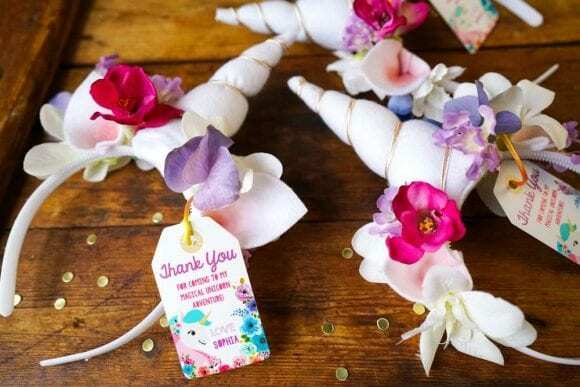 These unicorn horn headbands with pretty flowers are such a wonderful party favor for your happy guests to take home. 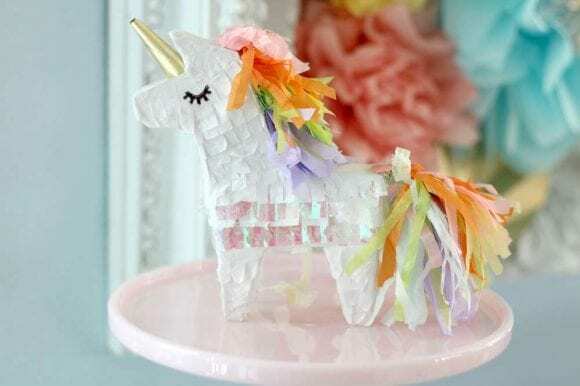 Need more unicorn party ideas and unicorn crafts? Need free unicorn party printable decorations? Need unicorn party food ideas? 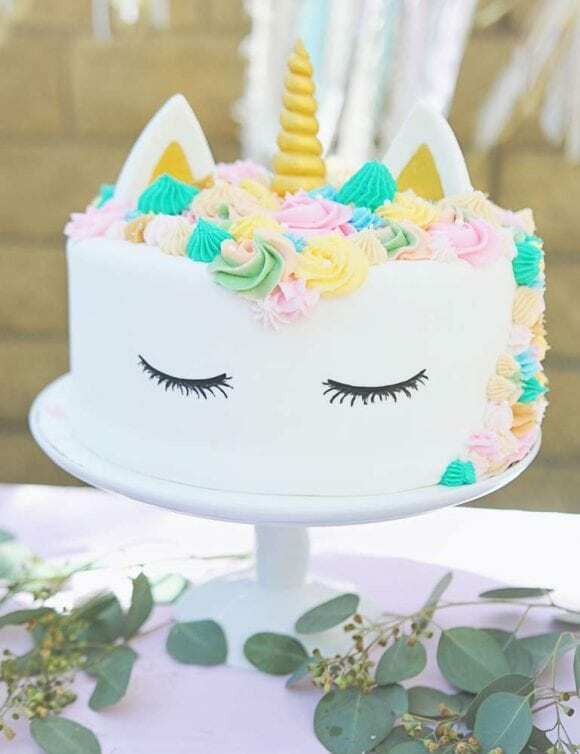 For more inspiration, check out all the stunning unicorn parties on our site, and check out these unicorn party supplies from vendors with listings on Catch My Party! Yaye!! So excited to be included in this.